Happy Halloween everyone. 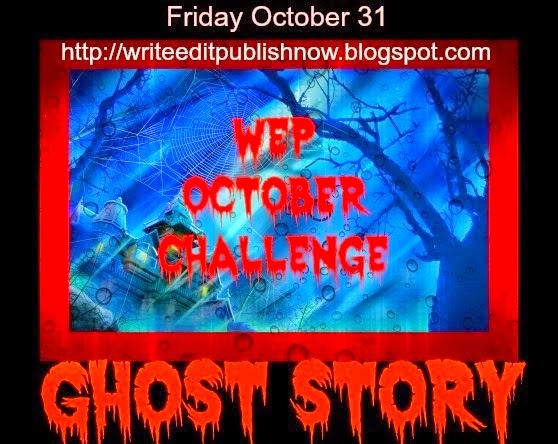 Here is my post for the WEP October Challenge, sponsored by Denise Covey at Write ... Edit ... Publish. Okay, here we go. Enjoy! Carla and Darla, twin sisters and cheerleaders, dressed as cheerleaders, entered the night club already half drunk. The room vibrated and pulsed from the music the DJ channeled through the speakers. Halfway to there, the music ceased. Everyone in the club looked at Carla and Darla. They growled and groaned as they left the dance floor and bar seats, circling the twins and closing in. Carla and Darla hugged each other and closed their eyes. Darla opened one eye and saw the zombie herd inches away. "I just wished they brushed their teeth first." After a minute, Carla opened her eyes. 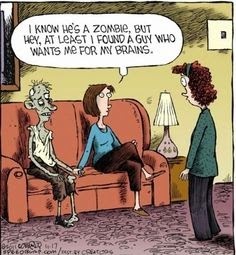 She saw the zombies shuffle to the dance floor and their seats. The music pumped loud to Oingo Boingo's Dead Man's Party. Rim shot please! Now enjoy this classic Oingo Boingo song set to this The Nightmare Before Christmas clip. This is classic, folks. You'll want to take a few minutes to appreciate this. dolorah, the video was exceptional IMHO. I love creativity and the hard work that goes into it. A really cool song I like certainly helps. I liked that music, and the visuals. The cheerleaders of the football world will not be amused however, and I saw that one coming. . .Nice entry, Stephen. Thanks Hilary! The kids had a great weekend. Now it's time to throw away their candy. The sugar is like a really bad LSD trip for them. Funny, Stephen! Have a great Halloween. 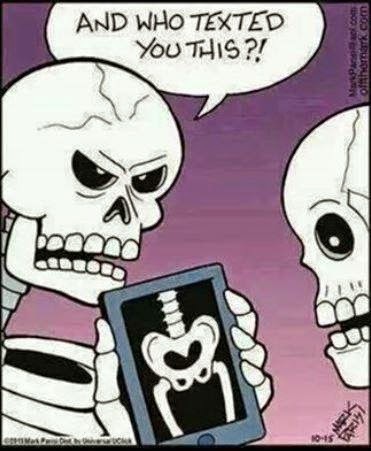 Funny story for Halloween. The pics and video were great. HAPPY HALLOWEEN! Cheerleader stereotyping. LOL I told my children when they were small they could participate in any school activity they wanted except cheerleading. Happy Halloween. Hah, good one! 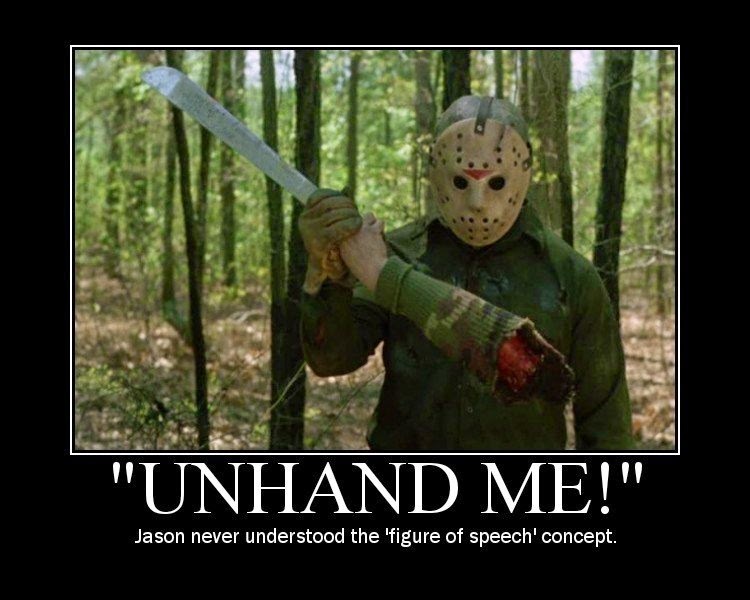 And I love the comics, especially, 'Aim for their heads, Baby Jesus!' Lol! Happy Halloween everyone. Stay safe and away from the drunk drivers. That made me laugh! Very good. Funny! I loved the comics on the side too. 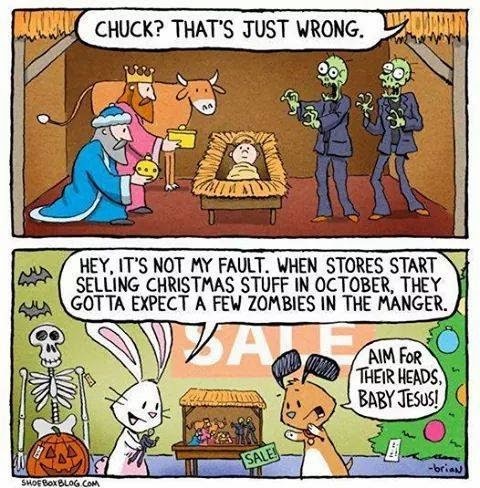 Zombies in the manger. Hahaha!
" 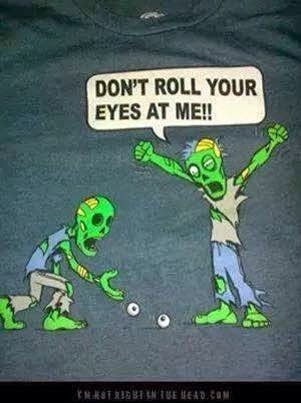 Don't roll your eyes at me!" Priceless Stephen. I loved your humourous take on the challenge and the cartoons/images really enhanced the story. Thanks for participating in the WEP challenge! Great to have you. Thanks Denise for the Blogfest! Halloween always provides an opportunity to do something fun. Ha ha! That was fun. What a good punch line, cheerleaders and no brains and buying them drinks! Lisa, glad you enjoyed the flash fiction. Or is it? Great humour, loved the cartoons with it and the video. Glad people liked the video. I don't know who put it together, but they did a great job. Looks like it took a lot of time to do it. Like Sally, I enjoyed the cartoons. And that video had to have been a labor of love, for as you say: it looked as if it took a loooong time to make. This made me laugh and I loved the cartoons! I'm sorry if it's been a long time since I visited your blog, Stephen. I try to visit as many as I can and always return visits. I'll try to stop in more often. Here from WEP, and enjoyed your post much. A fun, light-hearted ghost story. Loved the cartoons and the video too. Thanks for the laughs. Very funny, although former cheerleaders may not appreciate the humor. :-) The cartoons were a nice touch---for those of us without brains. Of course I kid. This is just a humorous story. As always, thanks for stopping by. Thanks everyone for stopping by, and I hope you all had a safe and fun Halloween.